I have the same issue as another reader; reloading this app nearly everyday and doing the sign in. And the reload doesn’t always work and must be repeated several times. Fix this awful app! This piece of crap app jams every other time and has to be reloaded and I have to sign in each time. Hard to believe this from Rhode Island’s top newspaper which seems to be headed down every time I think about it. Why don’t you just shut the paper down now and let some other company run a state newspaper because you’ve already failed. This needs to be fixed!!! In order to get the current issue, most often you have to delete the app, go to App Store and re-install it, then log back in - hoping you remember and type in your username and password correctly. Takes too long! Old version of app would automatically open up to the current issue. Always logs out and very difficult to reconnect, heck what do you want for a paper full of ads! That's it. All good things come to an end. Loved the app and used it to send articles to my friends nationwide, but paying for it is just out of the question. There are too many other sources of information that are free. Current update is choppy and not as smooth as last version. Click on an article and it drops down to the bottom of the article. Made a good thing worse! The projo's website has been a source of frustration for years. Finally, the paper has a new website and an iPad app. The implementation is simple enough: a copy of the physical paper that can be zoomed and manipulated. Now I can truly read the paper in a digital form without suffering the "where is that story I read the other day" problem the paper used to have. Not perfect, but far better than it used to be. Thanks Projo for finally coming into the digital age; better late than never. This is an outstanding app. I never found time to read the paper, but I do now that I have this app. It's free, which is awesome. It works really well and I love the features: different types of "table of contents" views, crisp graphics, flawless zooming and page-turning... The best feature of all, is clicking on a story, and automatically getting zoomed into it, then when you tap the "continued on page..." button, it takes you right to it. Great job. I found two areas that bothered me about this app the first being that it is very slow when downloading over 3G the second being I wasn't able to go back to a previous edition and read the articles. The whole focus refocus issue that another reviewer mentioned is annoying but can live with it. All in all this app is a decent replacement for the hard copy paper. I had to cancel my paper subscription because of the lack of time to read the paper but now I can flip through the paper a lot easier. I would pay for a subscription with this app. Once the 3G issue was fixed I hate having to remember to download my paper in the morning. This app has two serious flaws. The first is its inability to retain the log in information. At least once a month it drops the data. 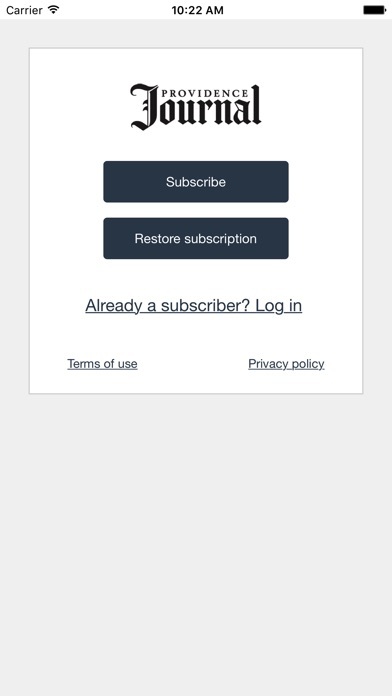 I have the WSJ subscription and never have to re-enter my log in info. The second issue is the layout. Not user friendly for an iPad. Constant logging in is obnoxious. This app requires you to log in every day. In doing so, it insults you by telling you that you are not authorized to read the paper. So, you have to provide proof every day. It will store your login name but not your password. Worse, if you begin reading the paper, switch to another app, and then switch back, it may again tell you that you are not authorized to read the paper and will require you to log in yet again. You can avoid multiple logins on any particular day if, on the first login, you download the entire paper--which is an extra step. Once I'm actually reading the paper, I enjoy it. However, this app makes me angry on a daily basis. I expect products that I purchase to serve my needs. I don't appreciate a requirement that I constantly serve the product's needs. From the iPhone size splash screen to the kludgey way pages turn to the way it crashes when I hit "close" this is at best a rough draft. The whole newspaper approach is interesting, but do the parts of the page that I've already zoomed in on really need to defocus when I move about? The jumps don't work well. The quick contents doesn't work well. Keep trying. I love the ability to read all the stories that interest me. Most news apps on.y offer top stories. It felt a little clumsy at first moving around the page waiting for it to focus so I could read. Then I realized that double tapping The article brings it to a reader for easier reading. I will use this app daily!! Is is not physically delivered and has ads. Way overpriced. 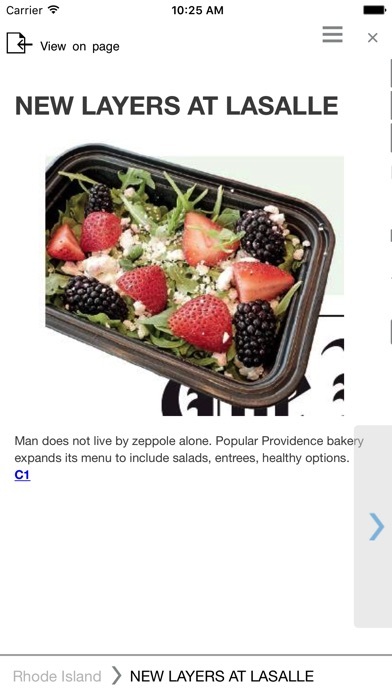 Projo is not alone in being clueless on how to monetize newspaper content. Why other sites run on ads and do well yet news can't tells me old media has much to learn. A subscription to the Providence Journal App is not worth the price. All RI news can be read online for free at other sites across the internet. Why would I pay for a subscription? I knew it was going to prompt me to buy the paper. Well it was a good run reading the paper everyday. Or should I say looking at the pictures. Started looking at the paper after my USA today subscription was about to go up so I canceled that. Now I just use the app and read the same articles. Anyway getting off topic, I'm not going to pay for this paper. I enjoy this app and find it easy to navigate. What I miss when viewing from the web site is browsing and this let's me do just that. I wonder how to send the articles as email attachments without going to another site. But other than that well done! This app is horrendous. Will not let me sign in and keeps crashing. When I tried to read the E-edition in Safari, it keeps deferring me to the app! That doesn't work!!! Absolutely awful!! Great job on adapting the paper to iPad. I like the various views available for going through pages. The app is now my preferred way of reading the paper. However, I too want the ad circulars made available. Can it please remember login credentials! I like the app other than the login issue. I like this app alot but have found one major flaw. I am daily subscriber and several days a week my paper person gets the morning paper to our house too late for me to read, When i heard about this i was excited because i thought it woud be nice to take on the train to work. However every time i have tried to do that the daily edition was not available online yet and therefore if i wanted to read the paper i would have to read the day before. It seems that as soon as it goes to print it should be available online yet its not. Please fix that as there are many of us who leave the house early in the morning before the paper gets there and like to read on buses and trains. For Something out of Providence, its actually awesome. Constant logging in is very annoying. Most quality apps with credential verification do not require you to login with email and password every time you launch the app or have to go back in after it crashes. Should be a simple fix. Crashed a few times but then started to work fine. 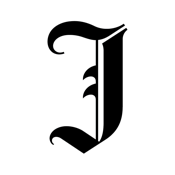 It is nice that that the projo moved onto bigger things. Might be a little too late. I understand this is more like a hook and line app and they will start charging for it. Would I pay full price for what the actual paper price goes for ? No. I would subscribe at a 60-70% off e cover price. I just signed p for USA today for the 2nd time because they offered me a low price of 37 cents an issue. People say this paper has gone down hill but news and news and they report news, not make news. I will say that they lost some of there best sports writers walk away to other papers. 4 stars only because I know I will have to pay for this but don't count on me paying more then $5 a week for this. I have problem dropping it. After using a double tap to zoom into an article I usually get stuck and can't exit. This app has no place to send feedback or ask for help so I have to leave a review here. Works flawlessly on my iPad2. Impressed by the various options for viewing/jumping around. Very surprised to find the Parade and the cartoons from the Sunday Paper. Very thorough presentation, and so far, zero crashes/hang ups. Super app! Constant log in issues. NYTimes works like a clock. This works like an Edsel. The first day the new Projo app came out, I gave it a 2 star rating and called it a fail. Since then I have been using the new app daily and have discovered a couple of tips that elevate it's usability considerably. Pros: I like that you can see the actual paper layout. I really miss that with some other online newspaper additions. You turn the pages by swiping the screen and it gives you, literally, the big picture. I also like that the sections are available with a tab. When you want to zoom in on a story, you can tap it once to zoom to it, or tap twice to open it in a separate, full page, window. Cons: For me, the biggest shame is that it doesn't fully take advantage of the screen size of the ipad. The image of the whole page is very small and you have to zoom in to read anything. When you zoom with a single tap, the edges of the article are blurry and you have to wait for it to come into focus. (I am using an ipad. Maybe on the ipad2 it is a little faster.) Also, learning to navigate with the tapping and double tapping wasn't intuitive at all. I had to read an instruction page to figure it out. 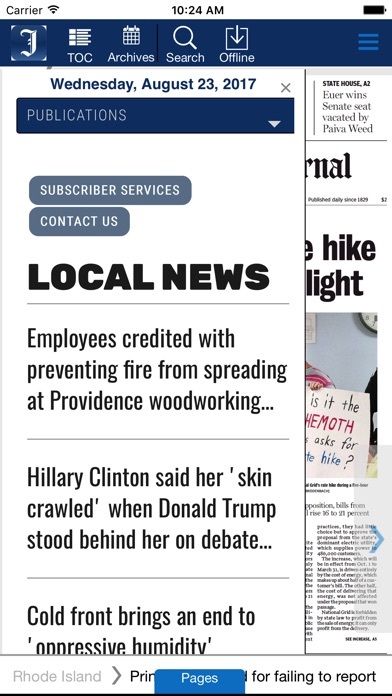 All in all, once I learned how to navigate it, the online version of the ProJo has turned out to be a regular part of my morning. 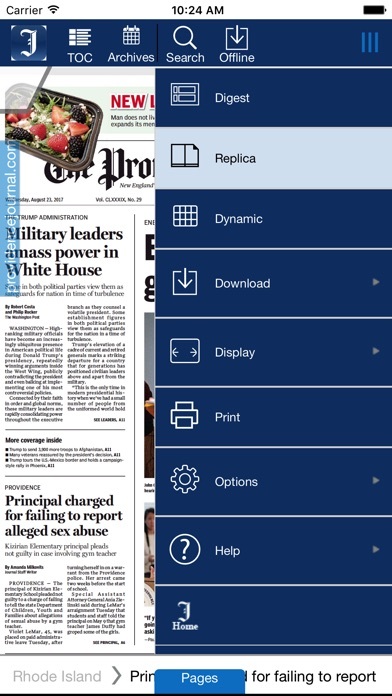 This is one of the best conceptual newspaper apps I have seen. It is a little buggy right now but nothing that can't be ironed out. I really like the fact that it attempts to mimic the manner in which we traditionally read "regular" newspapers. A couple of recommendations: 1) advertising inserts... I.e. the Sunday ads... I enjoy going through the ad inserts like Best Buy and CVS and would imagine it couldn't hurt your ad revenues by adding these in with the iPad version. If people do not want to read them they can simply skip over them. Personally, I actually would not even consider switching to the sole use of this iPad app without the ads being included. (2) highlighting capability... This app already has the ability to "dogear" pages of interest, but having the ability to highlight lines of interest for ease of referring back at a later time could be quite useful. Right now as a free app this is a no brainier that every RI'er should consider using. Well done! The app was great for months and months. Now it won't even launch. Deleted it and reloaded from the store but same result. Don't see any way to contact Providence Journal support on this. Continue to get errors while using. Operation cannot be completed, data not received. I wasn't sure what I was expecting, but after using the clunky Projo website for years I wasn't really expecting much. Boy was I ever surprised! I absolutely love the virtual newspaper design, you really get the feeling of reading the newspaper with this. yes there are still a couple of bugs to be ironed out, but I'm going to go ahead and give it 5 stars anyway because the overall design is so cool. This should be the model for newspaper apps. Downloaded updated version last night and have been asked to resubmit login credentials three times in an hour of reading this morning. Frustrating! 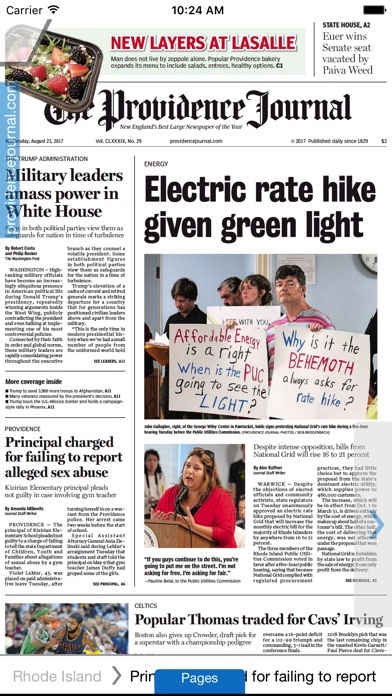 Great to be able to read the Providence Journal on my iPad. I just tap on an article and the print is nice and large. With the iPad on a stand I can easily eat and read! Good app but can't see the articles in today's issue. Hope this is just an issue with this issue. I read every day and love the usability of the paper. So much better than a paper copy. And no waste to the environment. The previous version of their app was great. Easy to use and navigate and most importantly would automatically update to the latest edition when the app was opened. I cannot figure out how to get the latest edition with the current version so have to delete and reinstall it every time I want the current edition. Newspapers are struggling as it is. This can only contribute to their continued decline. I start my morning reading the ProJo on this app. Since I got a new iPad for Christmas, the new edition of the paper does not load for me automatically. The only way for me to load the next days paper is to delete and re install the app. Anyone else having the same issue? Very frustrating. I agree with the reviewer that said the upgrade has some issues. But I don’t agree that everything is horrible and “somebody should be fired.” Nonetheless, small like when you tap to go to the next page to follow a story, it SHOULD take you right the story, and not just anywhere on the new page (like the other reviewer said, AND like it used to do). This upgrade made some changes - and change is always hard - that I don’t necessarily like, but I’m sure others do. Nonetheless, it broke a lot of little things, like the one stated above, that really impact the quality and seamlessness of the user’s experience.